I had to wait until my sister’s shower was over to show off this snowball quilt for a little girl due in September. I love pink and yellow, and I had fun making the snowball blocks. I had never done an entire quilt of them before. Octagons x 36. For the back, I chose the boldest fabric. 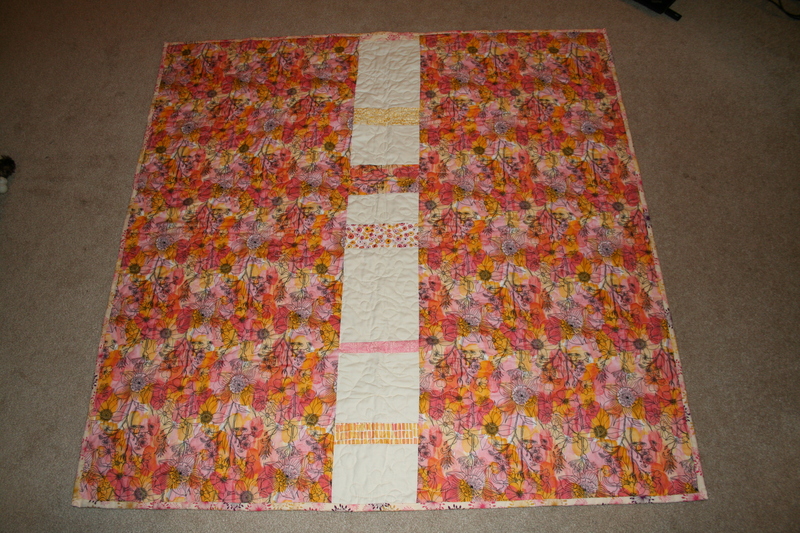 The quilt top was wider than WOF so I added a scrappy strip to bring in some of the prints from the front. I like that the front is more traditional and the back more modern. 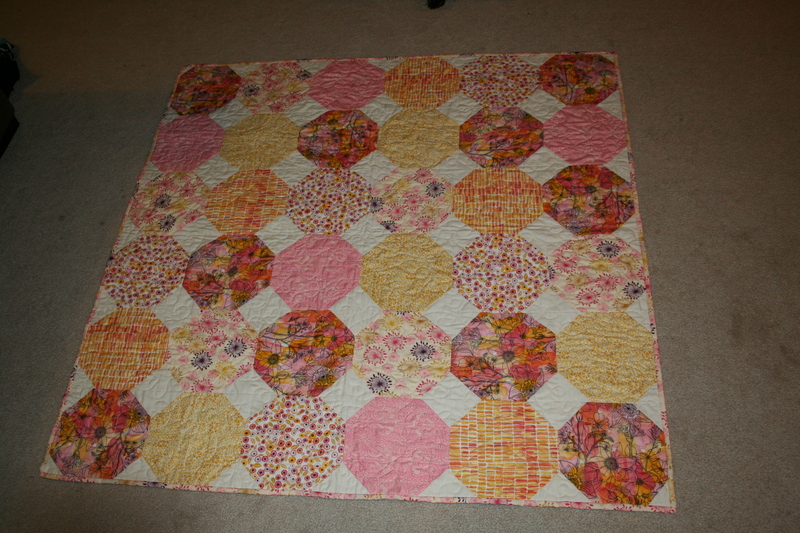 I do wish I hadn’t centered the strips, but I really love the quilt as a whole. 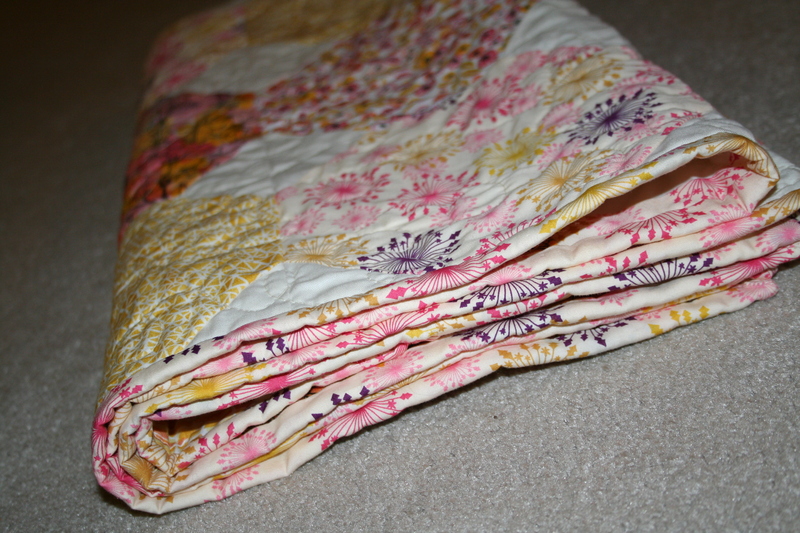 And here’s the binding– I used the starbursts, which have a tiny bit of purple in them.